cath kidston d.i.y | S J M W E L L - Fashion, Beauty & Lifestyle blog. I'm officially a college student, I enrolled yesterday and it was so well organised we was out in an hour, totally forgot they would need my photo taken for my i.d card- and of course i wasn't feeling or looking too healthy yesterday just my luck, all i did was pull my hair back- but on my photo it look's like i'm bald and i wasn't even smiling, i have it for 2 year's & i look absolutely awful. On a happier note though i have two induction day's soon which i'm nervous for, on the 2nd day we all go bowling to "get to know eachother" i did laugh but hey, okay! I really do ramble, on to the diy! 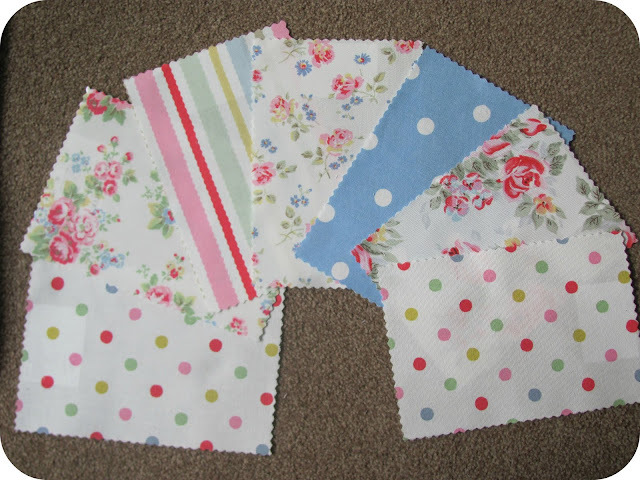 A few week's ago i got some sample's of cath kidston fabric's, so of course I had to make something cute from them, even though I think they would look lovely just in photo frame's on the wall as well. But instead I made a couple of coaster's and a few new book mark's because I'm constantly losing mine. Just cut down to size and laminate, i also added wool on one book mark just to give it another exta little cute touch! of course when i light the candle I'll take it away because fire health & safety etc, but when it's not light i think it look's sweet. I'll be making a lot more with them including customizing jeans and what not! Oh I absolutely love Cath Kidston prints! Your blog is just so adorable btw, I love your scabble heading. Hope you have fun at your induction days! i love your blog, this post is great. i am now following, i hope you can follow back. Oo, I just love Cath Kidston! I hate it when you look dreadful for photos, as they seem to last for such a long time and you're reminded everytime you look at them of how dreadful they are!